When it comes to mobile platforms, it's all about the apps. Got apps? Then you've got users. If you don't, then you don't—just ask BlackBerry about its failed Playbook, and both Palm and HP about the disaster that was WebOS. Overall app quality means more than numbers alone, of course, but if you don't have many apps populating a storefront, the odds are pretty low that new entries will knock your socks off. Now consider Windows 8. A picture is worth a thousand words; the gray line in the graph below—from MetroStore Scanner, a site that keeps unofficial tabs on new additions to the Windows Store—shows the growth rate over the Windows Store over the past 15 days. It's a flat line, and it's not very pretty. Microsoft no doubt hoped the growth rate would look like a hockey stick, not a flat-lining patient in the ICU. Yep, the Windows Store's growth has slowed to a near-standstill. That's a catastrophe for a platform that started out lagging far behind the competition. Worse, the pace of new submissions has only slowed since Windows 8's launch. Despite early qualms about the state of the Windows Store, Microsoft's bold new operating system actually proceeded to grow at a fairly brisk pace once it hit the streets. Developers hit the ground running, pumping nearly 500 apps into the market each and every day, pushing the global total to 20,000 apps in less than a month. The next 15,000 came at a slightly reduced speed, but it was nothing to worry about. When the Windows Store hit the 35,000 mark on December 27, the finger-friendly apps were flying in at a still-brisk rate of 415 per day, according to The Next Web. Then the holidays were done, and so was the Windows Store's rapid growth. 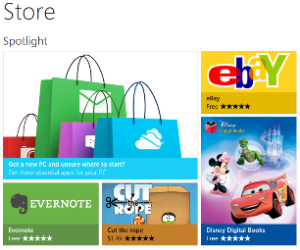 Windows 8's Spotlight section isn't very helpful at pointing you towards excellent apps. It took until January 28—more than a month—for Microsoft's app market to add a mere 5,000 apps and crack the 40,000 app barrier. Some quick off-the-cuff math shows this equals roughly 156 apps per day, or only a third as many apps as were being added per day during the Windows Stores debut month. I wish I could say the bleeding stopped there. It hasn't. In the 12 days since the Windows Store hit 40,000 apps, only 1648 new additions have popped up in its Metro-ed halls, by MetroStore Scanner's count. The per-day submission rate has crept even lower, to just 137 apps. At that pace, it will take another 424 days before the Windows Store hits the 100,000 app mark that one enthusiastic Microsoft executive expected to hit in just three months. And that's global apps, mind you. The number of new apps that have been trickling into the U.S. version of the Windows Store is far less than 137 per day. I haven't been keeping an exact count, but I do check out the News Releases section of the Windows Store every morning while I sip my morning cup o' Joe. (Dorky, I know, but it's my job.) Even though the section only shows the 100 latest Windows Store additions, it takes several days for new apps to meander their way off the list. Quality apps are killer apps, but the rapid deceleration of new overall app submissions is an ominous trend for a platform that's failing to gain any tablet traction whatsoever. In November, the NPD research group reported that tablets comprised less than a single percent of all Windows device sales during the operating system's opening month. Just last week, IDC said the tablet picture stayed just as bleak throughout the entire quarter. "There is no question that Microsoft is in this tablet race to compete for the long haul," IDC's Ryan Reith said in the research firm's press release. "However, devices based upon its new Windows 8 and Windows RT operating systems failed to gain much ground during their launch quarter, and reaction to the company's Surface with Windows RT tablet was muted at best." Where is the desktop? All this, all for mobile, and thus far all for naught. Microsoft has killed its darlings (and annoyed dedicated desktop users) in the company's quest for a slice of the bourgeoning mobile pie. Billions have been spent to blanket the world in flashy ads. 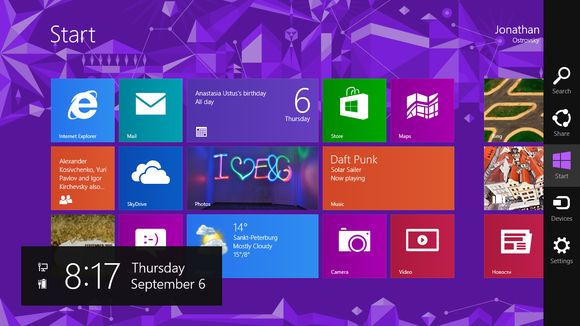 The Start button itself—the very icon of Windows as we know it!—was sacrificed upon the touchscreen altar. And still everyday users avoid Windows tablets like the plague. Who can blame them? Interface gripes aside, there simply aren't many worthwhile Windows 8 apps available, and hope for software salvation is dwindling as the number of new app submissions declines day-in and day-out. On February 4, Windows CMO/CFO Tami Reller said that more than 100 million apps have been downloaded since the Windows Store's launch, with user visits growing in the double digits each and every every week. The smart money is on most of those coming from PC users. The curiosity is there. The apps are not. Windows RT is already on its deathbed, and a barren Windows Store will serve to impede Windows 8's mobile ambitions even further. Microsoft may already do a lot for developers, but it's apparent that the company's going to have to do much, much more to keep the apps flowing and kickstart the relevancy of Windows tablets. Which comes first, the users or the apps? The riches in Microsoft's multi-billion-dollar war chest can ensure it's the latter with Windows 8, but only if Steve Ballmer is willing to open up his wallet.